As the weather starts to warm up across the nation it’s now the perfect time to begin planning your next golf trip. With over a 1000 golf courses, moderate temperatures and clear blue skies, Florida is the go-to destination to play some of the nicest golf courses. 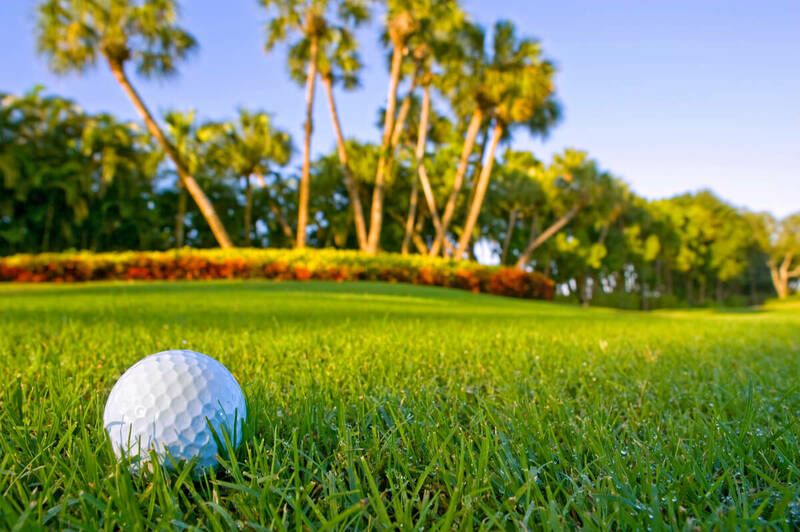 As you begin to narrow down the perfect course, let us recommend some of our favorites throughout the beautiful state of Florida. TPC Sawgrass was the first course of its kind and is the home of the world-famous The Players Championship. No two holes on the Stadium Course is alike and its challenging layout is set up so that no two consecutive holes are played in the same direction. This course is best known for hole 17, which is located on its signature island green. Inspired by traditional Scottish links, the Stadium Course is known to be a truly balanced course for every level of player. Designed by the critically acclaimed golf course architect Rees Jones, the Waldorf Astoria Golf Club is the best of both worlds. Located near many of Orlando’s top attractions, the course is ingeniously nestled into the Florida landscape. The course winds though a large wetland preserve with old growth pines and cypress trees lining the fairways. It’s five-tee system encompasses all playing levels while still offering an engaging course for everyone involved. Ranked #26 in the United States and #4 in Florida by the Golf Advisor in 2018, the Riverwood Golf Club is a challenging and magnificent course to play. Riverwood’s par-72 championship course boosts five sets of tees laid out amongst the Myakka River and wooded terrain. Designed by Gene Bates, this course is considered to be one of Florida’s best kept secrets. A trip to this award-winning course will not disappoint. The Streamsong Resort is a golfers Disneyland. It’s a stark contrast to traditional Florida courses surrounded by housing developments and country clubs. The clubhouse and surrounding structures are a stark modern contrast of glass and steel that perfectly accentuate the terrain. Streamsong’s remote Red course more closely resembles a course found in Ireland than one in Florida. Designed by Bill Coore and Ben Crenshaw, Streamsong Red is a challenging course to play but is a true masterpiece. The Ocean Course for the Hammock Beach Resort is a breathtaking mix of fairways and ocean breeze. The Hammock Beach Resort was named one of 2018’s Best Golf Resorts in Florida. The Ocean Course was designed by Jack Nicklaus and hugs the Atlantic shoreline with pristine greens and ocean views. The Ocean Course can be a difficult course to play due to various water elements and Bermuda roughs, but it’s a must play for the beautiful scenery. As you get closer to planning that perfect golf outing, please feel free to consider some of our top recommendations for Florida’s best courses. In the meantime, don’t forget to practice your drive and putts at your local driving ranges! Golf Range Netting is always available to answer any questions about your golf or netting needs.